Working in a loft space counts as Working at Height according to the Working at Height Safety Directive, especially if there is a stairwell below, with a large distance to fall. It’s so easy to think that because a ceiling is not made of glass and cannot be seen through, it gives the illusion we are quite safe up there, and over confidence can cause accidents. But if you could see through the ceiling you would be far more cautious when taking step across the joists. 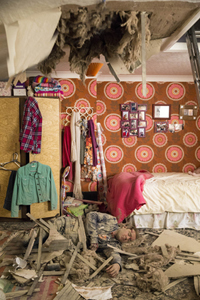 I have worked in the maintenance industry for 30 years working in many loft spaces and have seen and witnessed accidents happen through workmen / staff being over confident and not using any floor protection. My company (Loft Boarding NW) specialise in this area and my staff are thoroughly trained in working in loft spaces (Working at Height) to avoid such accidents. We help provide our customers with safe loft access & working platforms and advise on the correct way and method of using this access. 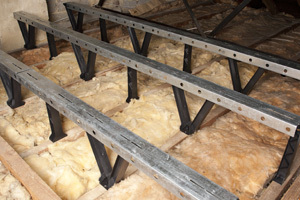 Loft joists are normally spaced around 600mm (2ft) apart and are only around 40 – 50mm in thickness. 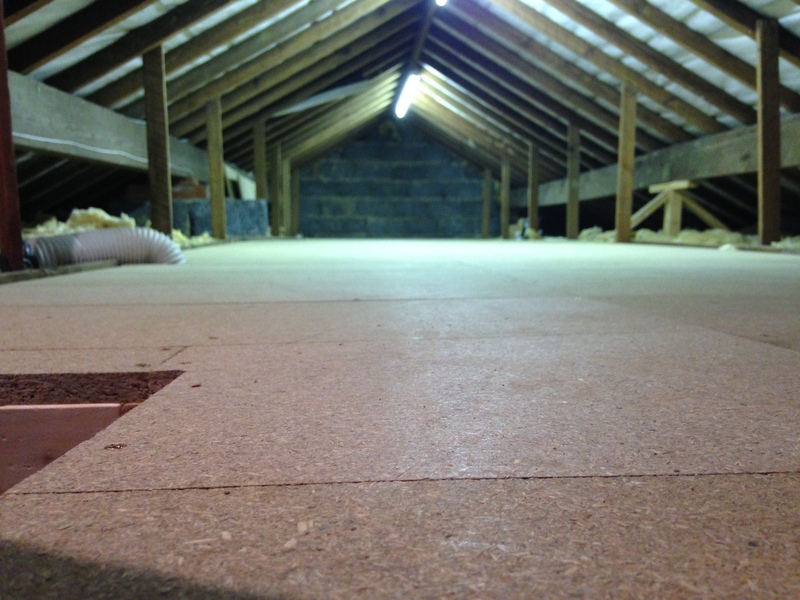 Also most modern lofts or upgraded lofts are topped up with new insulation that conceals the ceiling joists. 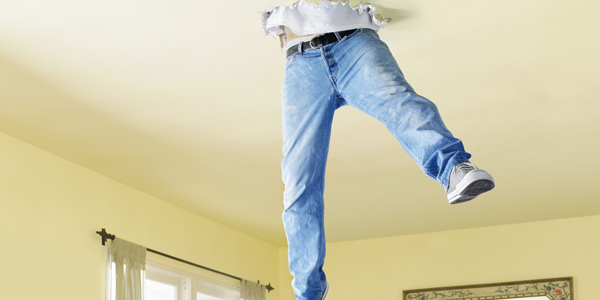 This makes it even more difficult to get a good footing when striding across a loft space. This just adds to the problem, as one slip will leave you standing on a 12.5mm thin plasterboard sheet, which will give way under anyone’s weight and guaranteed to go right through it. As technology changes and new devices & systems are developed to help run our homes & businesses more efficiently, so increases the need for safety legislation changes and for businesses and organisation to comply with these new changes. With this increased demand for loft area maintenance access it is required that commercial building owners or tenants must provide a safe accessible working area for maintenance staff to use to allow them to do their job in accordance with Health and Safety legislation and Working at Height Safety Directive. To comply there is quite a straight forward solution which Loft Boarding NW can implement in any loft space in any building so you can conform to these requirements quickly and cost effectively. Loft boarding is no longer just a DIY job, it’s becoming increasingly popular for storage to, and as a result of this increased demand for storage space so must be an increased demand for the safety in domestic as well commercial loft spaces. 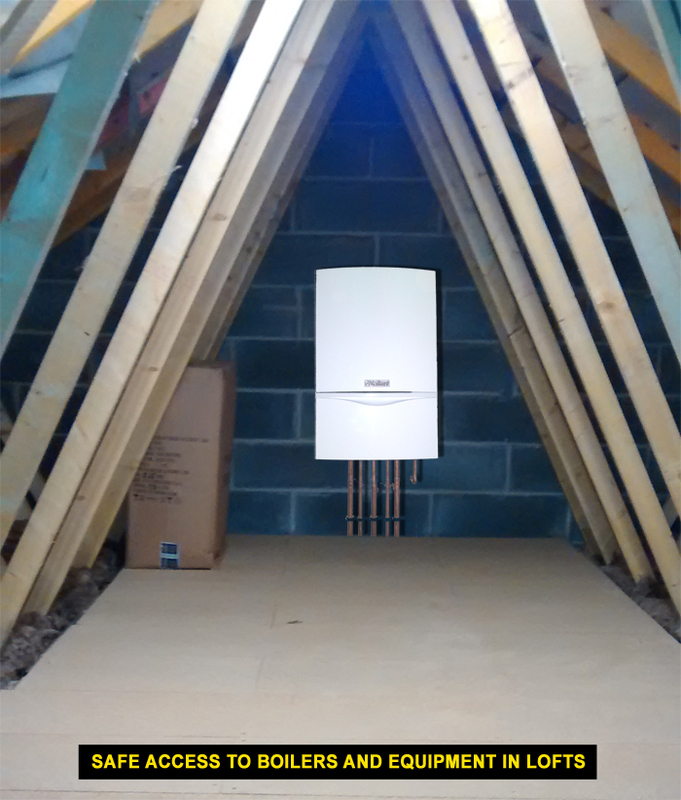 A loft storage space must be installed correctly and without compromising any existing regulations, not just for health and safety purposes but for building regulations purposes as well. 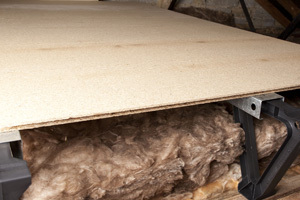 A huge emphasis must be put on avoiding loft insulation compression as it is a fact that some installers will compromise or remove insulation just to provide safe flooring for access for storage. Compressing loft insulation or removing it will not only increase your heating bills it is completely unnecessary and frowned upon by the industries as there is a unique system called LoftZone StoreFloor (more information) which allows the installation of a raised loft floor (270mm high) to be installed above your insulation. 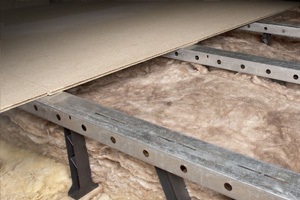 At Loft Boarding NW we can use various systems to allow you to have installed a safe working platform for maintenance access without compromising existing loft insulation, pipe work or electrical cables. We achieve this by using either a wooden 100mm sub-frame installed across the existing joists or our highly recommended system of the unique 270mm LoftZone Store floor system which uses a combination of metal beams, tri-supports and uni-support legs.